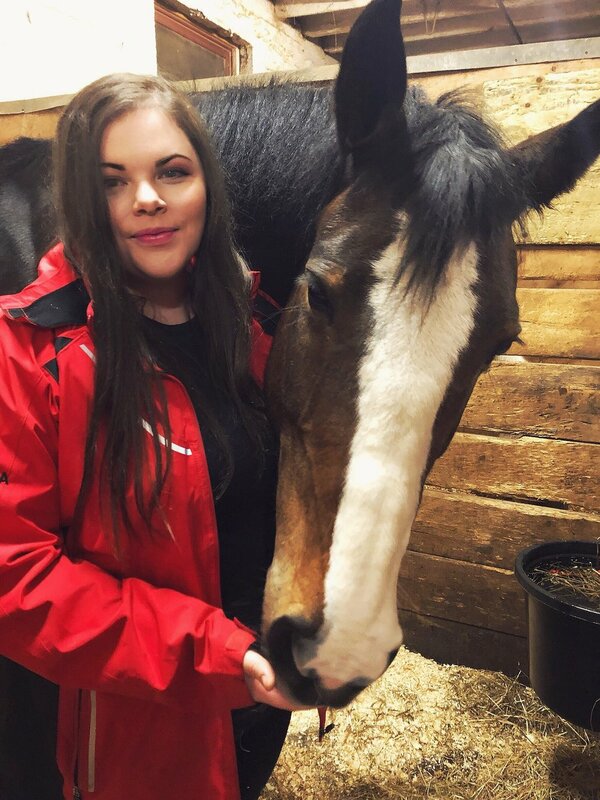 We are pleased to feature Laura Thomson as our volunteer of the month because in such a relatively short period of time, she has contributed so much to Lancers and in particular, the therapeutic riding program. Laura’s first interaction with Lancers was with her father who is our hay supplier. One day she was helping with a hay delivery and was chatting with Angie. In conversation, Laura mentioned that she was pursuing a Bachelor of Science, Therapeutic Recreation degree at Dalhousie. 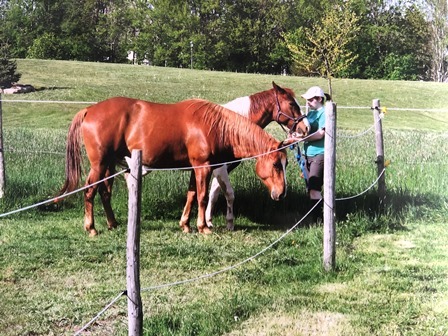 Upon learning of Laura’s experience working with people with varying abilities, Angie suggested that Laura consider becoming involved with the therapeutic riding program. Laura participated in her first session as a volunteer in the autumn of 2017. She greatly enjoyed the experience and due to her experience, when our therapeutic riding program went through some changes last year, she volunteered to take over as program co-ordinator. Our summer of 2018 quarantine, however, temporarily paused these plans until autumn 2018 when the program was able to resume and Laura began as full program co-ordinator. Laura works as a part of a whole therapeutic riding committee consisting of very committed volunteers including an occupational therapist, parents of riders in the program, and long-time advocates for people with varied abilities. Of course, each session also requires volunteers who act as leaders and side walkers and our upcoming program already has over 30 volunteers. This spring also marks a significant redesign of the therapeutic program which will expand its ability to meet various client needs. More closely aligning sessions with participants’ individual needs means that sessions can focus on, for instance, working on balance for people wishing to improve their fine motor skills. The therapeutic program serves individuals with varied abilities. It focuses on social, emotional, cognitive, and physical aspects and improving the overall quality of life through equine assisted therapy, as well as developing riding skills for para-equestrians. Our program works with people of all abilities, taking a holistic approach to help those with, for instance, Autism, Cerebral Palsy, Down Syndrome, PTSD, Anxiety, Depression, ADHD, Anorexia Nervosa and many other diagnoses. Within the program, there is a focus on guiding participants to grow through four domains which include: concentration, recreation, core balance, confidence and self-monitoring. This is an exciting time for Lancers as an organisation as we have expanding such programming aligns with our core values of making riding accessible and improving the lives of individuals through horsemanship. We were so fortunate to find Laura, not only because of her studies but because of her horse experience, natural passion, and heart of gold. She began riding as a child and rode at Fall River Stables for about four years. When the family moved to Martock, NS, her father promised to buy her a horse. True to his word, Laura welcomed Lacey, a seven-year-old quarter horse tiobano paint into their lives. Lacey is now 14 and Laura keeps her at their barn at home and rides for pleasure. Laura recently adopted another horse that is mostly blind. 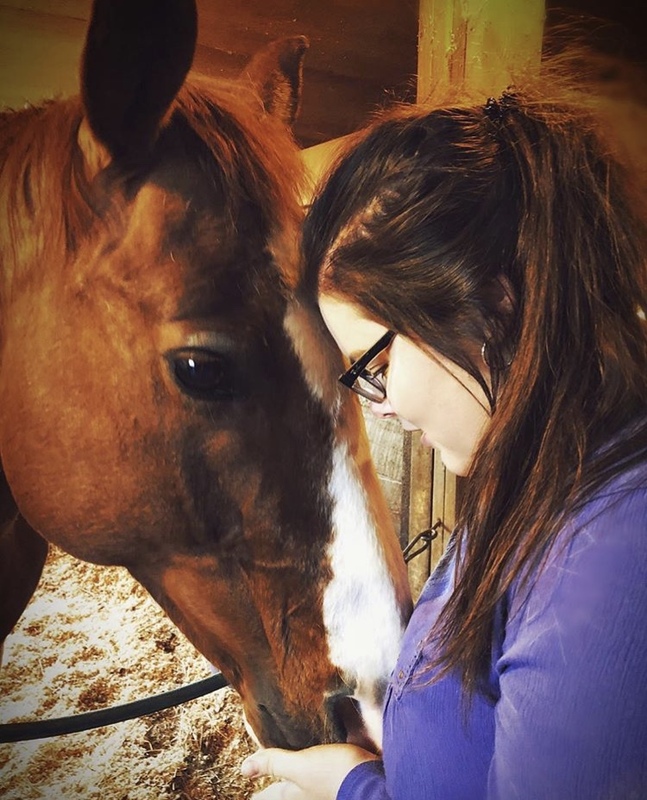 Upon becoming more involved in the therapeutic riding program at Lancers, Laura decided to work on her education with horses and improve her horsemanship. Where better to do so than Lancers! She joined our A2 adult ride in November and is working towards earning her rider levels so that she can go to Sunrise therapeutic stables in Ontario to earn her CANTRA certification as a therapeutic riding instructor. Laura’s passion for horses and their therapeutic benefits came at an early age. Personally, horses have always been an important part of Laura’s life and her mental health journey. “Horses have always been there for me even when people fail”, she added. She explained to us that her aunt had cognitive delay and was bi-polar and she always loved horses and coming to their farm. Laura would always take her down to see the horses and witnessing her aunt enjoy and connect with the horses sparked a passion in Laura to pursue this line of work. During her first session with our therapeutic riding program, she witnessed participants try pole bending and their excitement and happiness. Laura explained “you could see that they had achieved something challenging that they did not think that they could do and that gave me happiness and inspiration to keep helping the cause”. Laura really enjoys that volunteering with the therapeutic riding program provides her with an interactive, first-hand opportunity to see the benefits of the work and to work closely with participants. It is quickly apparent upon meeting Laura that she is a very kind individual and has a genuine care for both horses and people. With all of this in view, she is excited to continue learning and growing the program. This past summer, she had the opportunity to attend, alongside our Manager Angie, an Equine Assisted Learning and Equine Assisted Psychotherapy clinic led by Greg Kersten (http://okcorralseries.com/). Laura intends to continue such training in order to conduct EAL programs at Lancers. According to Laura, for the future of the program, she sees that it will be “inclusive, something that everyone can come to and feel at home and feel that it is their family. I hope they will get the therapeutic benefits and recreational needs from the horses”. In Laura’s personal future, she will graduate in about a year and a half, will write her exam and will be certified in Recreational Therapy. 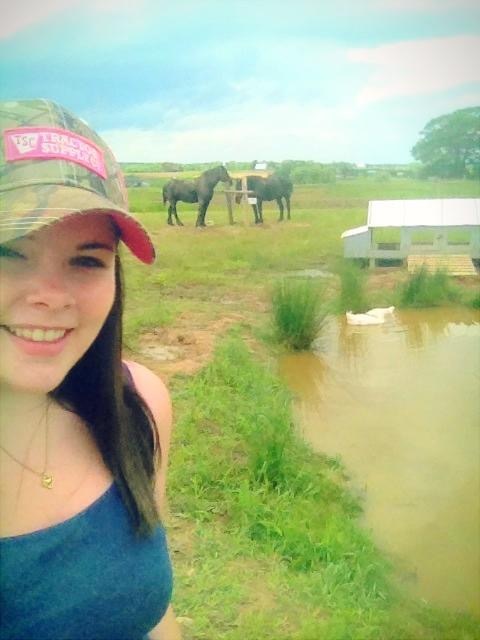 One day she wishes to be a therapeutic riding professional and focus on animal assisted therapy as one of her main goals for therapeutic interventions for individuals in Nova Scotia which means that people could use this sort of therapy as a first step before turning to medicine. In the short term, she is also going to continue riding at Lancers and will take her rider level tests this spring. She hopes she can continue riding Alice because she is her favourite horse because of her sweet disposition, energy, and the fact that she makes you a better rider. When not riding and volunteering at Lancers, Laura also works at a long-term care facility and as a waitress at a restaurant. She has many hobbies which include snowboarding, fishing, kayaking, rugby, and taking her three dogs on walks through the fields and woods. Laura, thank you for all of the time and passion you are contributing to our Lancer community! Our Featured Horse of the Month is Inga!